Swimming out through the waves at Onetangi Beach. Getting past the breakers and turning over onto my back. Looking up at the stars, while the water supports and rocks me. Being gently rocked back and forth as the swells wash under me.The velvet feeling of the sea all around me. This is one of my happy places, generally one used when I am in pain – dental work, childbirth, that sort of thing. I vanish off and it helps calm me. I sometimes even use it at night to relax if I’m having trouble going to sleep. Happy place is a bit of a sappy term. And at the same time, it’s exactly the right term. 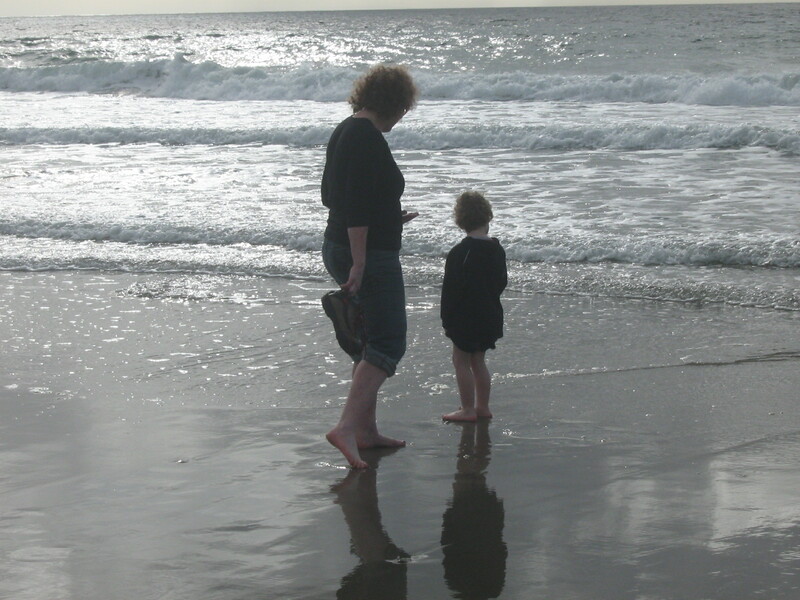 My rocking in the sea has worked as a pain and stress reliever and relaxant for years now. But as life becomes busier and I need to deal with more challenges and multi-tasking, I find I need something which will just take the edge off during the madness. In the last few months, I have found something which doesn’t take long and which helps to unwind the knots of tension. Some of you may have read an earlier post of mine, Of Teapots and Friendship. 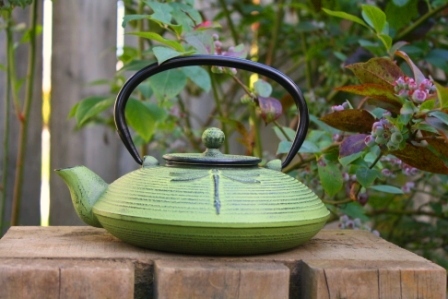 This is the story of a beautiful new teapot and why it means so much to me. Well, it has gone one step further. Often 4.30pm will find me in the middle of cooking dinner, getting homework underway, adjudicating disputes, looking after animals (I’m talking real animals here, not my children :-)) and some days, getting more and more tense and grumpy. I’ve begun making a cup of tea in my beautiful teapot. I boil the kettle and warm the pot with a little boiling water. That water then gets poured into my tea cup to warm that, while I make the tea. Sometimes it’s just enough for me, sometimes enough for one or more of my three tea drinkers (both of the 5-year old boys love tea, as does Master 13. I drink decaf tea, so am happy enough for them to have a cup). I let the tea draw (sometimes for longer than strictly necessary if I get caught up in something). Then I add my milk to the cup and pour my tea. My teapot pours beautifully. The final step is emptying the pot, rinsing it out and drying it with a paper towel. The tea tastes wonderful, but normally by the time I’m drinking it, I have completely wound down. Somehow the act of making the tea makes a moment or two of peace for me amongst the chaos – just enough for me to relax and let everything go. All events from that moment on proceed more calmly and with a better humour. Whether it’s taking the couple of minutes out of normal life, whether it’s the association of the teapot with a wonderful memory or whether it is the tea itself, it really works for me. And only takes a couple of minutes. So thanks Stephen for the teapot, and thanks Jim for the ritual. For everyone, finding their moment of peace will be a different thing. It certainly helps me to have something I can do to restore my equilibrium. What takes you to your happy place? came from truth and cake. New Zealand (which I hear is just as lovely as Canada), + Taxi Driver (you are in my experience a rare jewel of a minority)= very very cool. Your post reminded me of one that went up on ours just yesterday, only she wants coffee, not tea. I don’t have a favorite teapot. But I do collect in the hopes of some alice in wonderland tea party that will happen one day in my kitchen. New Zealand is lovely. One day I will find my way to Canada! Don’t wait for the tea party to come to you – make it happen!